A 'Storage Grid', which is also known as storage management grids combine multiple QuantaStor systems so that they may be all managed as one. The 'Storage Grid' technology is built into QuantaStor, and there is no additional software to install or maintain. 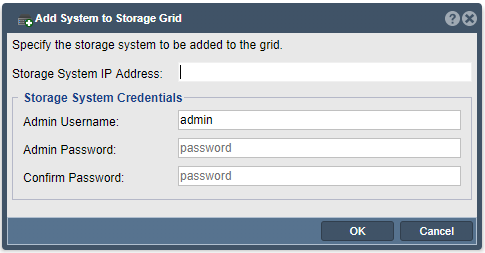 Logging into any system that is a member of a grid, enables you to manage the entire grid (assuming that access is granted). 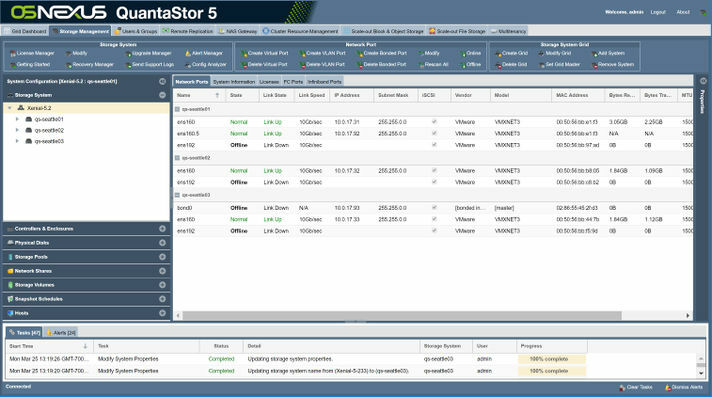 A QuantaStor system can only be part of one grid, but each grid may contain any number of storage clusters, each with multiple storage pools. This first system will be elected as the initial primary/master node for the Grid. The primary system has an additional role, in that it acts as a conduit for intercommunication of Grid state updates across all nodes in the Grid. This additional role has minimal CPU and memory impact. Now that the single-node grid is formed, we can now add all the additional QuantaStor systems using Add System button in the toolbar, to add them one-by-one to the Grid. You can also right-click on the Storage Grid, and choose Add Grid Node... from the menu to add additional node. You will be required to enter the IP address and password for the QuantaStor systems to be added to the Grid, and once they are all added, you will be able to manage all nodes from a single server via a web browser. Once completed, all QuantaStor systems in the Grid can be managed as a unit (single pane of glass), by logging into any system via a web browser. It is not necessary to connect to the master node, but you may see web management is faster when managing the grid from the master node. Be aware that the management user accounts across the systems will be merged including the admin user account. In the event that there are duplicate user accounts, the user accounts in the currently elected primary/master node takes precedence. QuantaStor system to system communication typically works itself out automatically. But, it is recommended that you specify the network to be used for system inter-node communication for management operations. 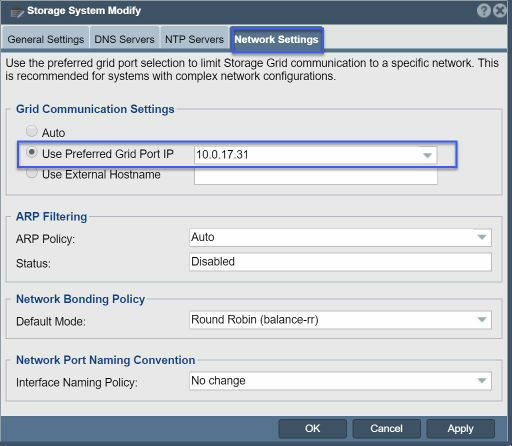 This is done by selecting the "Use Preferred Grid Port IP" in the "Network Settings" tab of the "Storage System Modify" dialog by right-clicking on each system in the grid and selecting "Modify Storage System...". At this point the Grid is setup and one will see all the server nodes via the web UI. If you are having problems please double check your network configuration and/or contact OSNEXUS support for assistance.